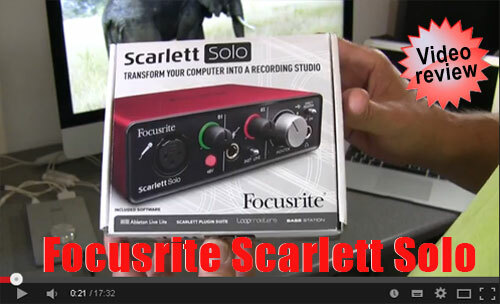 Focusrite Scarlett Solo - Super quality budget USB audio interface for Windows & Mac computers. 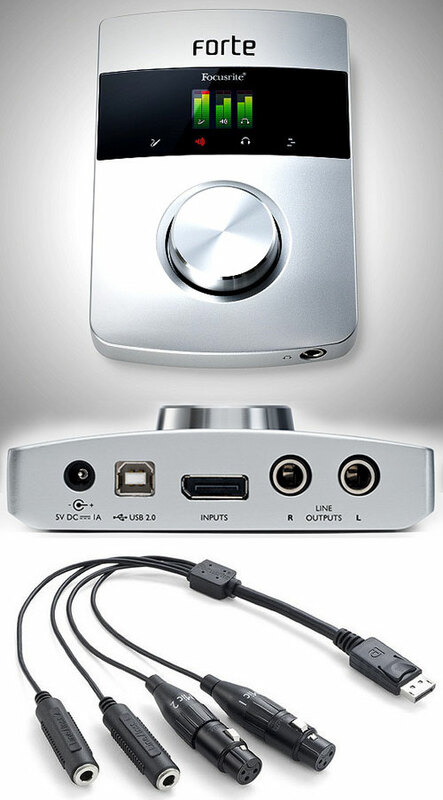 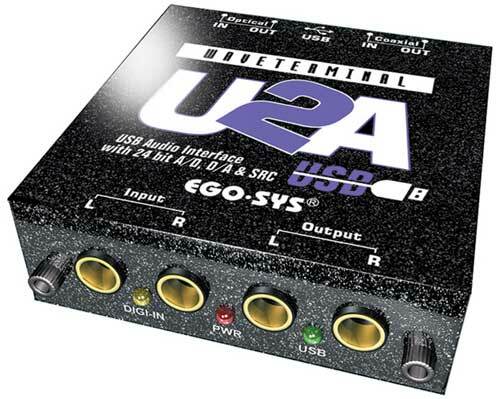 The Scarlett Solo USB audio interface offers a great-value & high-quality with a sound comparable to other such units costing many times more. 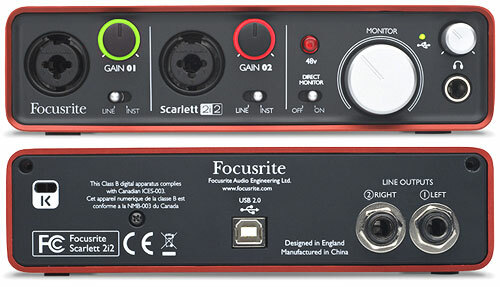 Small and incredibly compact the Scarlett Solo is the perfect audio-interface for both desktop and laptop machines on location, with a single mic pre-amp on input one, a line/Instrument for input two & recording rates of 44.1kHz, 48kHz, 88.2kHz & 96kHz at 24-bit resolution. 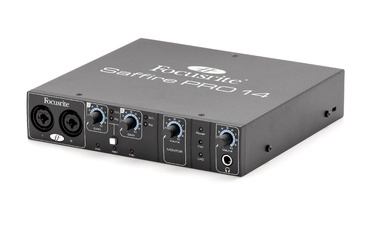 We compared the Scarlett Solo mic pre-amp to that of an Apogee Duet mk1, and using a typical 'prosumer' budget vocal condenser microphone, to our ears it was nigh-on impossible to tell them apart. 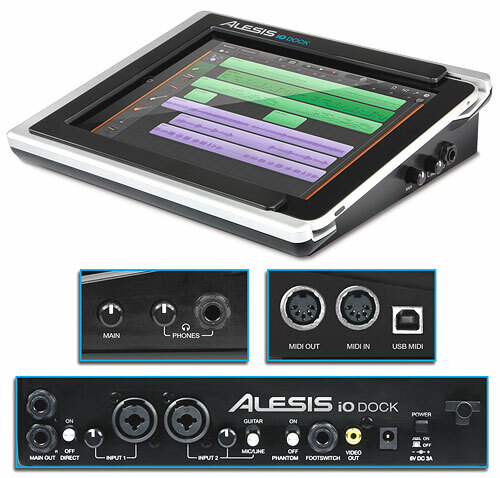 Bearing in mind the Apogee Duet cost four times as much as the Scarlett Solo on release, this is some achievement! 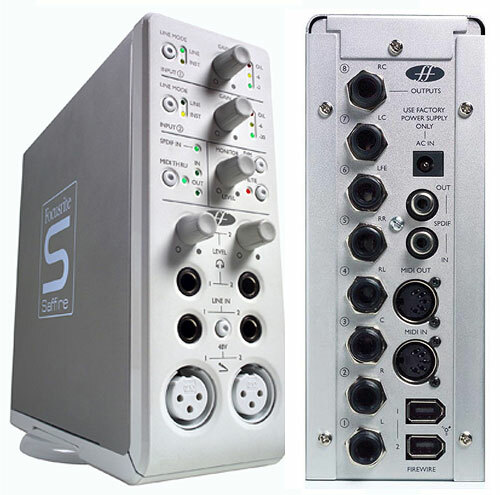 The Scarlett Solo's 48-volts phantom power is delivered without any external 'wall-wart' power-supply and also works on a laptop powered only by battery, a great bonus for on-location work. 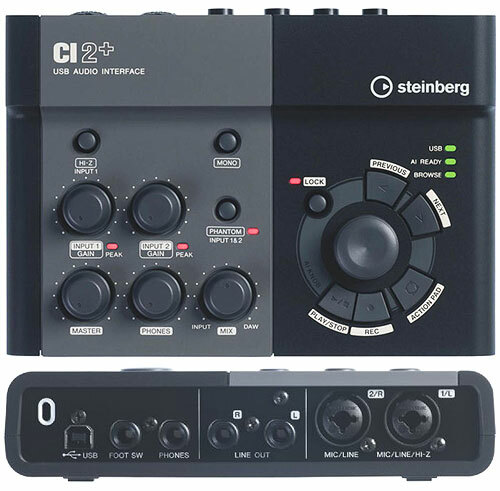 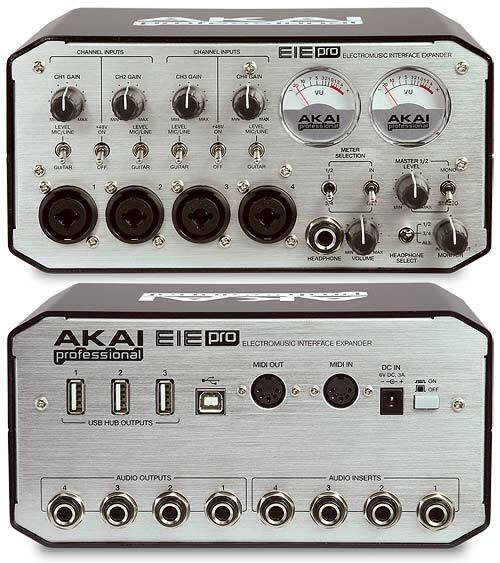 The second Line input is switchable to INST (instrument) mode to become a high-gain input. 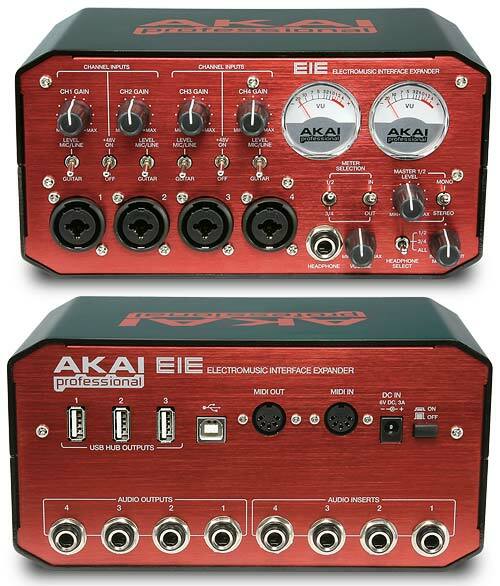 Simply plug in a guitar or bass and you can feed straight into your favourite amp-modelling s/w rig to get super-real guitar sounds; otherwise it functions as a standard line-level input suitable for keyboard outputs etc. 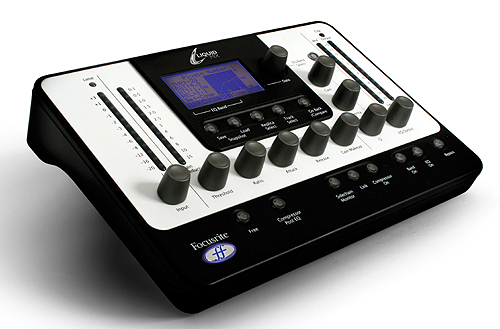 The Scarlett Solo comes with a promo code allowing the owner to download and register the included free software (Ableton Live Lite, Basstation plugin synth & Scarlett Plugin Suite), plus a very decent 16gb mini-collection of Loopmasters loops & fills/transition in a variety of genres. 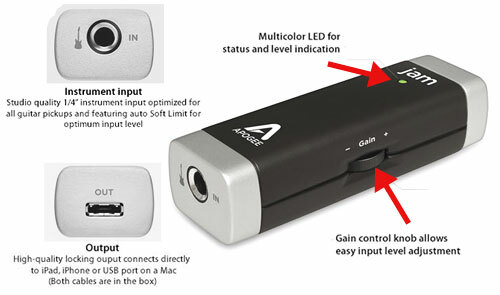 All in all this interface is unbeatable value, so checkout the full video review! 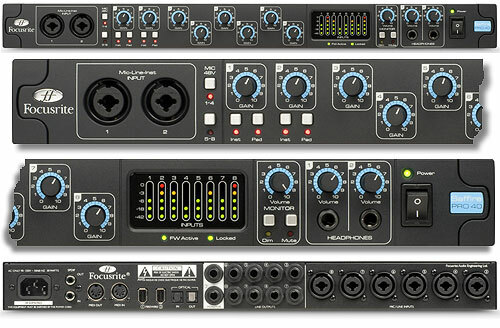 Have you used this interface or perhaps plan on buying it? 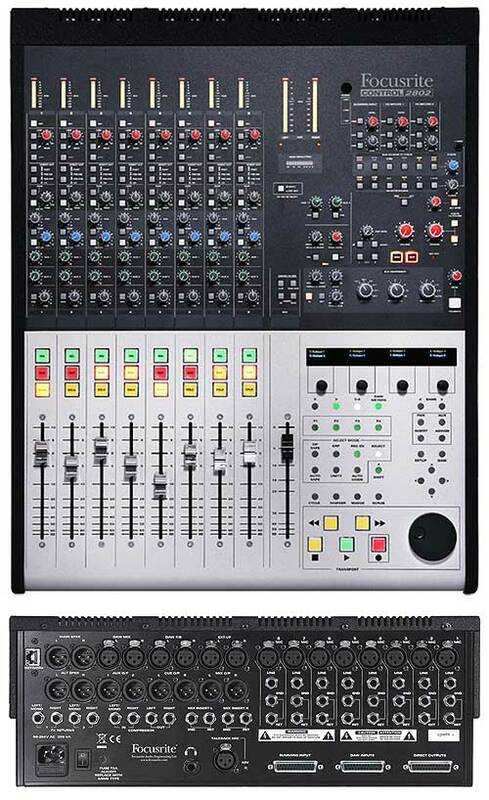 Please leave any comments below!